Why is allergy skin testing important? How much does a skin allergy test cost? Although skin tests are widely used and generally effective, identifying allergy triggers can be tricky. These tests involve applying minute amounts of allergens to the skin and observing the reactions over time. Allergy tests may generate false results or not be suitable for patients suffering from certain medical conditions. Although allergies are fairly common and affects millions of Americans, diagnosing their causes can be tricky since symptoms may come and go, change over time and vary from person to person. Identifying the cause of an allergy helps avoid triggers, reduce symptoms, and improve quality of life for people with allergies. This generally requires special testing by an allergist who may recommend specific studies, including an allergy skin test. Read on to find answers to your FAQs on what these tests entail and how they work. The most widely used and helpful tool to find the cause of allergies involves skin testing. In an allergy skin test, allergy-causing substances — also known as allergens — are applied to the skin. Then the skin is observed for signs of a reaction, like redness, puffiness, itchiness or other changes. There are several different methods to approach skin testing, including skin pricks, scratches and microinjections. All of them involve exposing the skin to controlled amounts of allergens and monitoring the outcome over time. In other words, they help people figure out what causes their cold symptoms, such as runny nose, itchy eyes and itchy skin. Although there are many over-the-counter and prescription medications to help control symptoms, if left untreated, these symptoms can lead to sinus complications and asthma. After a history and physical exam, patients get allergy skin tests that include food allergens and airborne allergens, such as pet dander, dust mites, mold spores and various pollens. Dr. Azzi notes that these tests are relatively painless and provide quick immediate answers. “Patients must avoid taking any oral antihistamines, such as Benadryl, Claritin, Zyrtec, Allegra, Xyzal and any antacids, such as Zantac, Pepcid or Tagamet for five days before the scheduled allergy skin tests,” she explains. These tests can be done the same day of the initial visit if a patient is not taking any of the contraindicated medications beforehand. In general, skin tests are most reliable for diagnosing allergies to insect stings or airborne substances, such as pollen, pet dander, mold, cockroaches and dust mites. Skin testing may also help diagnose food allergies, although these types of allergies are often complex, so additional tests or procedures may be required. These tests take about one hour to complete and are done using one of two methods: the prick or the patch. These are done using sharp plastic kits with drops of allergens that are applied to an area of the back. After 15-20 minutes, the tests are read by measuring any raised areas that indicate an allergic reaction. To complete the testing in adults and older children, any allergens that did not react on the back will be reapplied using the intradermal test method – injecting a tiny amount of the allergen under the skin of the upper arm. This helps confirm that the patient has an allergy. After the microinjection, patients wait 15-20 minutes for a flare and wheal type of reaction – a round, red, hive-like rash. For young children, the intradermal testing is deferred and sometimes screening laboratory tests are pursued – for food allergies in particular. These tests help identify allergens that cause delayed hypersensitivity reactions on the skin, or reactions that do not happen immediately but develop hours after exposure. Any raised red areas are noted for positive reactions. Patients are instructed on proper avoidance of positive substances and are expected to keep their back dry during the week of testing. “They are to avoid oral corticosteroids and topical cortisone creams on their back. If needed for intense itching, oral antihistamines may be used,” she adds. Blood tests for food and other common allergies are a useful alternative to prick and scratch testing. This form of testing requires a small blood sample which is sent to a lab for analysis. The results are gathered based on the blood’s quantity of immunoglobulin E (IgE) antibodies for specific foods and can determine the likelihood that you are allergic to the tested foods. While a prick or scratch test provides immediate results, blood testing can take several days. That said, blood test results tend to be somewhat more accurate than scratch tests and can be performed on those with severe rashes and those using antihistamines, while scratch tests cannot be used in these instances. Allergy skin testing is safe, even for young children as very minute, controlled amounts of allergens are applied to the skin and reactions are monitored in a doctor’s office. Anywhere from 10 to 50 different allergens can be tested at a time. It takes about 5-10 minutes to place the allergens on the skin – usually on the forearm or upper back. This may hurt slightly but should not bleed or cause more than mild, momentary discomfort. If the skin reacts to any of the allergens, a small area may feel itchy or uncomfortable. Although skin testing may seem simple, it must be carried out by trained health care professionals with an understanding of the procedure. During the test, the allergist will watch closely for a possible severe reaction, which is extremely rare. Certain skin conditions — These include very severe eczema or psoriasis where there may not be enough clear skin to do an effective test on the usual testing sites on the back and arms. Other skin conditions, such as dermatographism, where minor scratches can cause a temporary but severe reaction, may also cause unreliable test results. Medications that could interfere with test results — These include antihistamines, many antidepressants and some heartburn medications. The doctor may decide that it’s better to continue taking these medications than to discontinue them even temporarily for a skin test. Information from the skin tests may help the allergist develop a treatment plan that includes allergen avoidance, medications, dietary changes or immunotherapy with allergy shots. A positive skin test means there was a reaction to a particular allergen. A negative skin test means there wasn’t a reaction. However, skin tests are not always accurate. They sometimes indicate an allergy when there isn’t one (false positive) or don’t react even when an allergen is a trigger (false negative). Someone may react differently to the same test at different times. To see if the skin reacts normally, two control substances are scratched onto the surface: histamine, which should show a reaction, and glycerin or saline, which should not cause any reaction. If someone does not react to histamine or does react to glycerin or saline, the test results may not be accurate. However, in a valid allergy skin test, if someone has an allergy to one of the tested substances, they will develop a raised, red, itchy bump that looks like a mosquito bite. Bigger bumps usually mean a stronger allergy. Ultimately, the allergist will help interpret results and develop a plan for preventing and treating allergy symptoms. These may involve changes to the home or work environment, like removing mold or reducing clutter that collects dust. It may mean taking medications that help relieve symptoms, such as nasal sprays, eye drops or oral decongestants and antihistamines. When someone can’t avoid exposure to an allergen, they may be given allergy shots or immunotherapy to train the body not to react to these triggers. Allergy shots contain tiny amounts of an allergen and the doses are increased at each visit. Over time, the body gets used to the allergen and no longer reacts to it. Skin allergy tests are usually covered by insurance. With insurance, the cost will be $50-$100. If you do not have insurance prices can range anywhere from $250-$1,000 depending on the test. One too many reactions giving you the sneaking suspicion that you might be allergic to a certain food or product? Before running off to the allergist, you may want to try an at-home test to determine if you may have an allergy or intolerance. While at-home test can neither definitively prove or disprove an allergy the way that an an allergist can, these at-home test might still be able to save you the trip to an allergist all together. This easy to use kit provides reliable results coming straight from EverlyWell’s chosen lab experts. The kit includes instructions and instruments to collect and ship a small blood sample. With only a few drops of your blood, EverlyWell’s lab experts are able to test your reaction to 96 different foods. 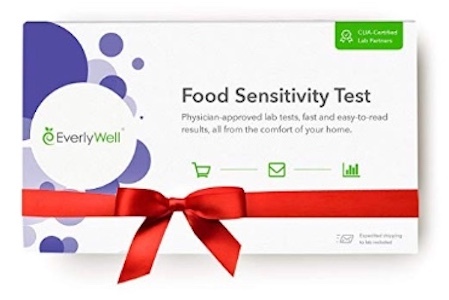 Your results are provided online through EverlyWell’s private online service, which presents the degree of sensitivity that your body has to each of the 96 tested foods. 5Strands’ kit substitutes the finger prick blood testing of EverlyWell’s kit with a simple hair strand test. A sample of 10 to 15 hairs is shipped to 5Strands’ facility for testing your body’s reaction to 200 food intolerances, 100 environmental intolerances, and 115 nutritional deficiencies. While it tests for intolerances and not allergies, this kit provides one the most comprehensive overview of common intolerances available. 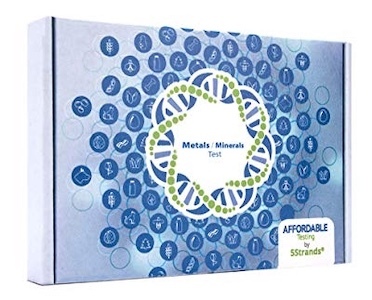 The Deluxe version of 5Strands’ kit further increases the testing range to include 550 food intolerances and your body’s accumulation of 50 heavy metals and minerals. Only concerned about your exposure to certain metals or minerals? 5Strands has you covered. Certain metals and minerals are difficult for the body to expunge and can accumulate over time. Perhaps there is an issue with your pipes or the antiperspirant that you have been using for years has led to an accumulation of aluminum. Whatever the cause, this kit can help you narrow in on the harmful materials in your environment. This straightforward blood-based exam is similar to EverlyWell’s kit with a few notable exceptions. After sending in your blood sample, you are tested for 44 food sensitivities. Your results are then available online, however Wellnicity doesn’t stop there. The results include personalized health advice to maximize wellness based on your sample. 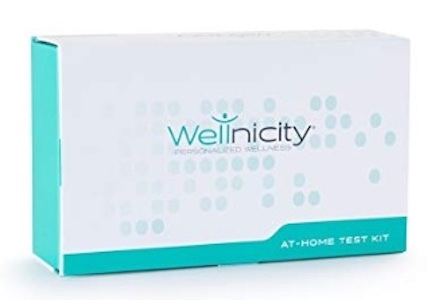 Wellnicity also offers an optional personalized vitamin regimen based on your test results to help boost your body into top form. This kit provides all of the same benefits as Wellnicity’s 44 foods kit but goes a step further by examining your reaction to 180 common foods. This long list includes common foods like broccoli, tomato, and eggs, as well as less obvious foods like kefir, papaya, and swordfish. A range of the most commonly available meats are also tested including beef, pork, and chicken.